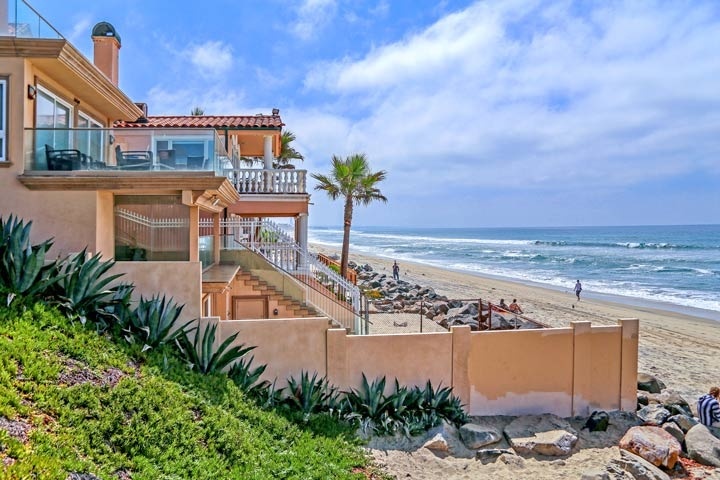 home Beach Front Real Estate, Real Estate Benefits of the Sand: Why is Living by the Beach So Grand? You may have noticed that we keep championing beach front real estate! Today is the day where we discuss the merits of actively choosing to live by the beach. Join Gulf Beach Realty as we dissect this topic further. When it comes to the benefits of living by the sea, the psychological benefits are quite immense. 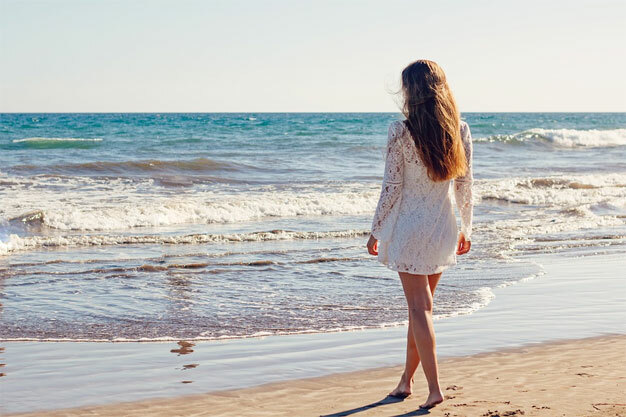 Studies have shown that living by the sea helps to calm frayed nerves and to lessen stress brought on by living in the city or densely populated urban areas. There is a good reason why people tend to go to the beach in order to distress. There is no denying the fact that feelings the sea breeze, squishing the sand between your toes, and hearing the waves crash gently by the shore is an amazingly soothing thing. People tend to congregate by the beach. If you’re a social type of person, living by the beach would be an ideal situation. You’ll never run out of people to meet and you’ll always have something to do. You can engage the other local beach residents by the local’s best kept secrets or try something new before everyone does. The social possibilities are endless! So there you have it! What benefits do you see about living by the sea? Share your thoughts with us. home Real Estate, Realty Firms Your Money’s Worth: What Can Realty Firms Do For You? If you aren’t the type to go searching for property, you can always go the way of a realty firm or company. Before you go, you should really know: what can realty firms do for you? If you’re not quite sure if a piece of property fits your budget or your particular specifications (hello, beach front real estate!) you can always consult with a realty firm. They will have the people who have the skills and the expertise to fully analyze the properties which you are either looking at or are thinking of looking at. Once the analysis is done and you’re thinking of really getting the property that you’ve had them analyze, it’s time for them to step in and handle the procurement process. They will have the necessary people like real estate lawyers that can help sort out the paperwork on your behalf. So all you’ll have to do is pay the appropriate fees and taxes and you’ll be saying hello to your new property. So there you have it! Beyond this two, there are so many more things that real estate firms or realty firms can actually do for you. Which services have you experienced for yourself? Which ones are you aiming to try out? home Buyers, Real Estate Before You Say Yes: What Makes a Piece of Property a Good Buy? 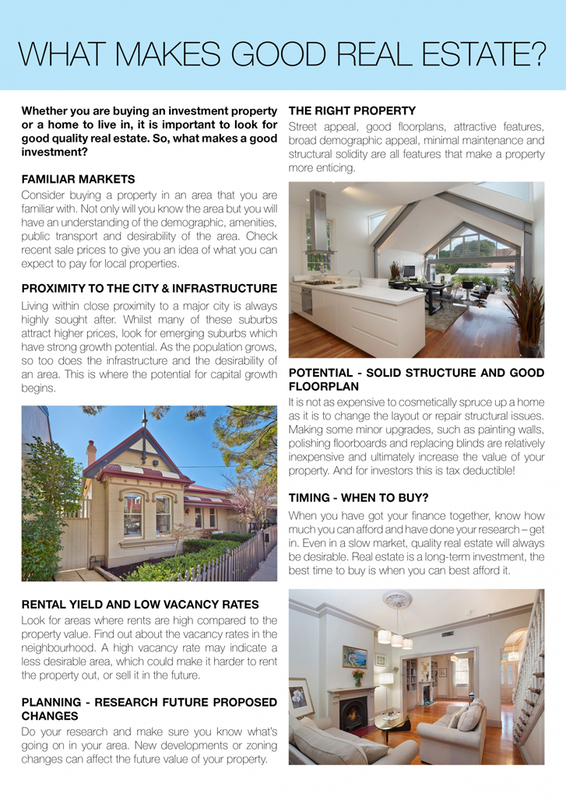 If you are thinking of looking at different pieces of property, there are certain characteristics that you should be looking at. We’ll be discussing this today so we hope you tune in! When it comes to real estate, location is worth more than gold (not literally, of course). Regardless of whether or not you’re aiming to get commercial or residential property, location will always be a big factor to it. Is it easy to get to? Is the general weather to your liking? What is the surrounding area like? Does it fit your dream of a beach front real estate? These are a few questions that can help you establish how well or how bad the location of the property is. This is still true for both residential and commercial properties. If you’re aiming to purchase a residential one, consider if it’s near any public schools or just schools in general. That comes handy if you have a family. If you’re in for business, consider if there are any direct competitors nearby. Viewing the nearby establishments gives you a better sense of whether the property will be a good investment. So there you have it! We hope that these two characteristics help you determine the viability of a property. What do you look at when looking at property? Are you trying to let go of property that you own? Saying goodbye to that beach front real estate? If so, there are a few things that you should be doing first. Gulf Beach Realty aims to walk you through that with today’s discussion. If your property doesn’t have the proper deed and title to it, there is no way that your property will ever get sold. 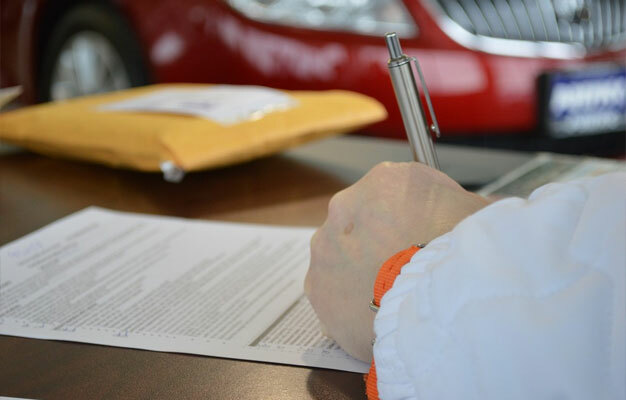 Before you get started on your whole selling crusade, you should make sure that the title is clean and that you have all the different necessary paperwork in order to make sure that there will be no speed bumps along the way. While it would be nice to dictate the price of your property depending on your sentimentality or your love for it, reality is not so nice. If you are ever going to get your property sold, you need to have a realistic figure attached to it. 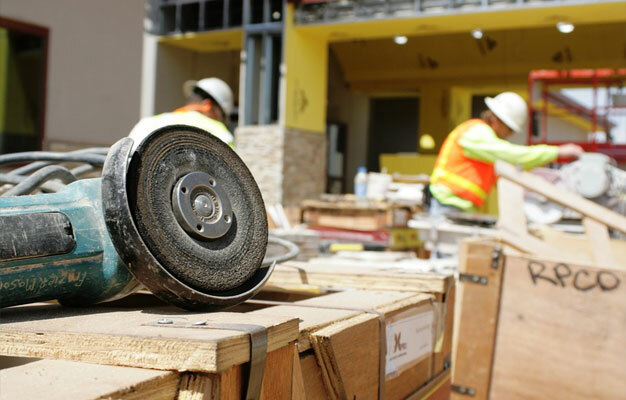 You can call in a contractor or a realtor to look the property over and give you a price for it. Always get a second opinion about it, of course. So there you have it! What other things do you think anyone planning on selling their property should do? home Real Estate, UK Buyers Buyers Choice: Why Is Florida Ideal Real Estate Market for UK Buyers? 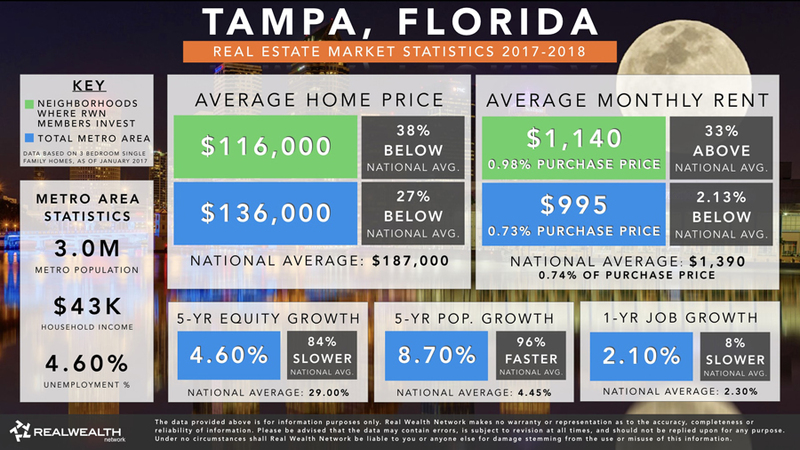 In recent years, Florida has definitely received an uptick in property buyers both local to the US and those that are foreign. Today, we wanted to talk about UK property buyers in particular. People from the UK are generally used to rocky beaches. They’ve never really had the opportunity to really enjoy a wide variety of beaches. Florida is a state which has that in spades! There are sandy beaches, beaches for surfing, beaches that may remind them of what’s familiar. Beach front real estate is typically a dream for many and UK buyers can make them come true in Florida. The UK is generally known for having cold, windy, and rainy weather. Florida gives UK property buyers the chance to enjoy tropical weather for a majority of the year. This grand contrast to what they have been used to can do wonders for constitutions that have long been pestered by mold and moist areas. A lot of ailments which have been linked to the cold weather of the UK tend to cure itself out due to prolonged exposure to tropical weather and climate. So there you have it! What other reasons do you think Florida has enjoyed an uptick in UK property buyers? We’d love to hear your ideas about this. home Real Estate, Views Looking for Property with a Canal View? Look In These Places! There are certain pieces of property that really capture the rapt attention of potential buyers. One such piece of property usually has a distinct feature: a canal view. Today, we wanted to explore certain places which boast of particularly amazing properties that have that coveted feature. Is there anything more wonderful that a city which combines amazing views and historic sights? 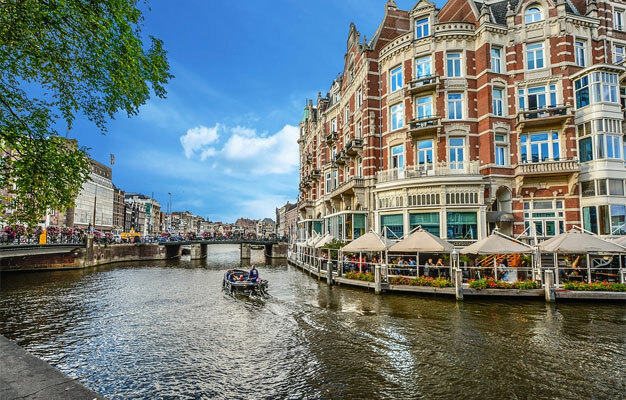 If you’re aiming to purchase a canal view home, why not look in Amsterdam? Amsterdam usually is overlooked as people tend to believe that a place which allows most anything would not be a viable place to reside in. Those people couldn’t be more wrong. If you’re not quite sold on the idea of purchasing a beach front real estate, it’s a generally good idea to try out a canal view one. Try out the view by staying in one of the hotels which boast of amazing canal views. At one point or another, you’ve probably heard about Venice Canal in California. 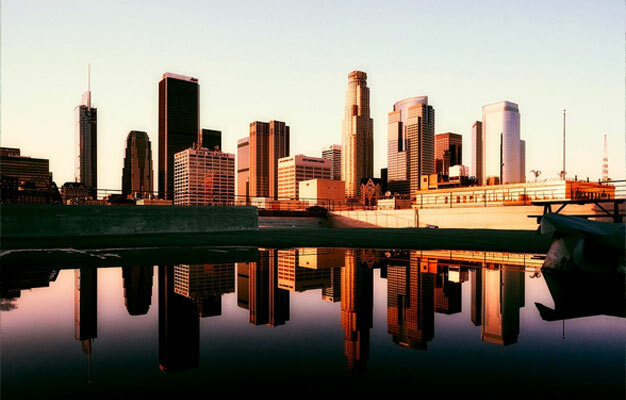 If you want the view that’s coupled with a homey feel this is one place that you will certainly want to be looking at. California’s canal views can’t be beat. They generally have smart architectural pieces in this place that allows homeowners to enjoy the view without having to worry about the elements that go with being so close to the water. So there you go! We hope that you’ll put these two places at the very top of your to-view list when it comes to searching properties with canal views. Which ones would you consider looking at? Beachfront property purchases can be a tricky investment. Homeowners spend relatively little time in their beach homes, but a substantial portion of their paychecks on them. Because there’s so much uncertainty, ranging from market conditions to eroding beachfront, here are eight tips to think about when investing in that waterfront villa. Your mortgage is likely to last twenty-five or thirty years; shouldn’t your beach house? Beaches are victim to erosion and hurricanes. Spend some time researching information on the history of the area to make sure your second home will remain on the good side of the shoreline. Flood and hurricane insurance is often sold separately from general homeowner’s insurance. If, as was often the case following hurricanes such as Katrina, insurance brokers can’t determine if your home was destroyed by wind or water, and you lack one of those insurance policies, it’s likely you won’t be reimbursed. If you’re a condo buyer, make sure to find out whether or not your condo fees cover wind and flood damage. 3.) Where is the Market Heading? In situations where the local market is down by double digits, you can afford to wait for it to bottom out. In this case, it might be worth renting a beach house for a year or two to avoid a negative-equity situation. It’s unlikely that you’ll spend more than one or two months a year in your beach home. Understanding the state of the local rental market is key to how much of a drag your beach home will be on your finances. If you’re looking at buying in a beach community dominated by overbuilding or foreclosure, as with many of the sub-markets in South Florida, there is sometimes a glut of unsold homes which are being rented, and rental yields are down as a result. Not being able to rent your home ups the overall cost of the investment. Almost every beach community has investors, speculators and regular buyers who have lost money on their beachfront property. If you’re looking for a deal on a home (or want to get an idea on how low your low-ball offer can go) make sure to check the title and loan status of the home in question through the county assessor’s office. Keep in mind that most sellers are unlikely to accept an offer too far below what they paid originally, unless they are in extreme distress. It’s never a good idea to buy into the next speculative bubble, but if you’re looking for a hot sales market, consider areas like Mexico, where there are areas like Los Cabos, which are undergoing real-estate booms. These properties will often give you a lot more space, closer access to beachfront and more amenities than what you can buy in established U.S. markets. 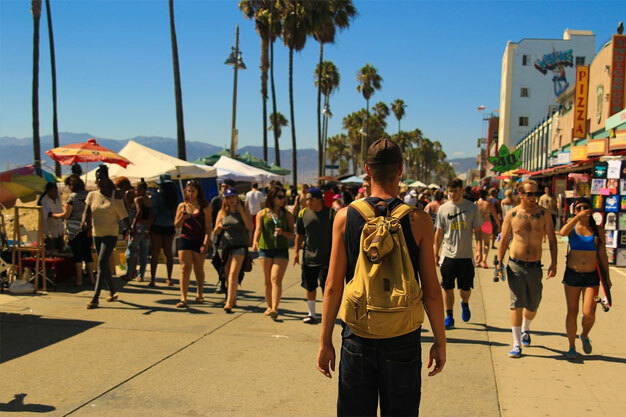 A phenomenon seen during the boom in the urban market, but also in beach markets, was the rush to fringe markets with the idea that they were up-and-coming. Since the market has turned in both places, those fringe areas have depreciated quickly. We’re currently in a market where there are very few up-and-coming neighborhoods or beach communities in terms of appreciation, so you should be wary of any broker who promises you as much. If you are looking for the best price appreciation, homes located right on the beach are much more likely to hold their value than cheaper alternatives in the same town or community that are a short distance from the beach. There’s a much more limited quantity of actual beachfront property than there is of homes that are in adjacent areas.